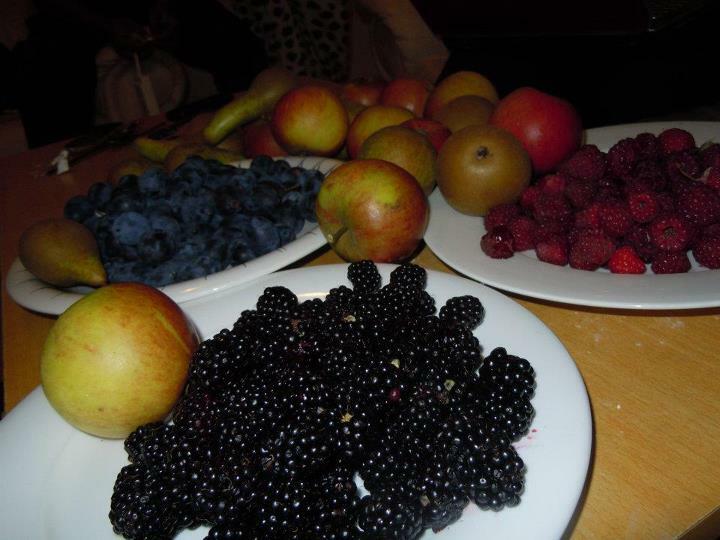 There is a nice place for Fruit picking near West London in Slough. I had been there when my Father visited me and my wife in London from India. Luckily my wife had recently bought a car and hence it was quite comfortable for us, especially my dad to get there. It took us about half an hour by car to get there. As far as I remember we saw only one elderly person sitting there alone at the shop. He instructed us about the fruits which were available for fruit picking and the places where we could find them. At that point in time (season), we managed to find different varieties of apples, pears, black berries, raspberries, and delicious damsons. I was not aware of what damsons were until then. I didn’t expect them to taste so nice. They are small a bit oval or elliptical and their colour is a mixture of blue and violet. From inside they look like the inside of plums but are quite sweet. We plucked decent amounts of all fruits. I was feeling bad because there were many fruits fallen down and I thought it to be such a waste. There were boards instructing not to eat the fruits while picking them even if they had fallen down but I saw some people eating them in front of their children setting bad examples. After a fruit picking spree we went back to the shop where the elderly person weighed the fruits and we paid him accordingly. There were many other things on sale as well. For example, honey, fresh fruit juice, jam etc…I felt sad for him when he said , "If possible, could you return the plastic case once you consume or store the fruits, please". We said "Sure, we will". But unfortunately we didn't manage to return the case to him as the place was not near and we didn't go that side again. I was thinking about how he must be taking care of such a big place all alone ? There might be some workers to help him, hopefully. We saw some other fruits like the watermelon and some other which I don't remember as I am writing this after about 5 to 6 months after we actually visited that place. The caretaker told us that those fruits weren't ready for plucking. Well, if you plan to visit it, you might try to also visit Windsor Castle before or after visiting the fruit picking place as both of these places are quite close to each other. That way, you can make complete use of the full day if you leave early.